Back To 90's - ADS , Luckee & Calmboi Music Video OUT NOW! Amisha Sethi a young entrepreneur who was awarded the “Young women rising star” at World Women Leadership Congress 2014. She came out with a book named It Doesn’t Hurt To Be Nice though this book is still in Pre-Order state and you can go & Pre-Order the book on Amazon. 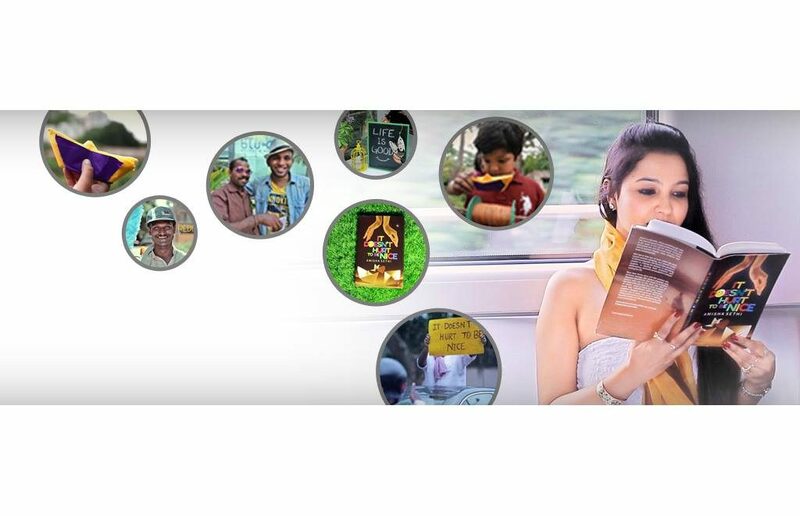 Amisha & Smokey the Ghost came up with a Music Video for the titled song & story in the video depicts the title of the book, It Doesn’t Hurt To Be Nice. Lyrics for the song was Penned down by Amisha & Smokey and the song was produced by Smokey himself. Smokey has been around since the beginning of the game and has made a mark. Be it a solo career or being a part of one of India’s favourite groups, ‘MWA’, Smokey has done it all and in quite the manner. Smokey is currently involved in performing all over the city but still makes out time to release some fresh music. Here we have his latest release, “It does not hurt to be nice”. The meaning of the track is explained in the titled itself accompanied by a video which can melt your heart and even put a smile on the listeners face. The message of the track and video seems to be that, “being nice is infectious”. I was alble to catch up with, “Smokey The ghost” and this is how the conversation went. Q: What is the song, “It Doesn’t Hurt To Be Nice”about ? 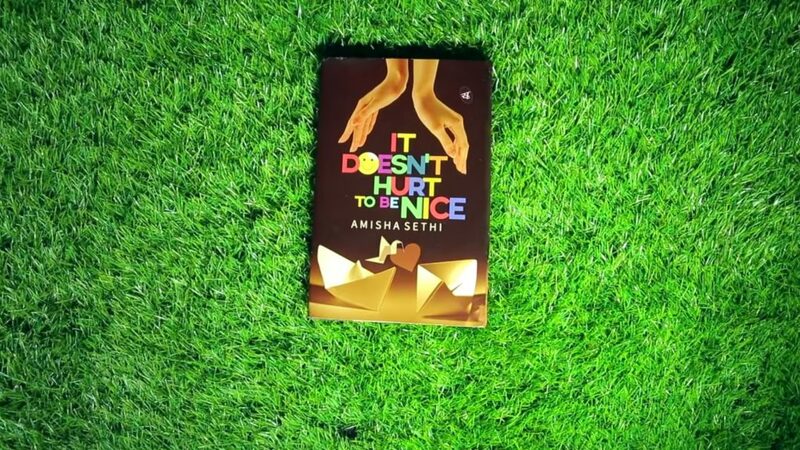 A: It Doesn’t hurt to be nice is a book written by Amisha Sethi. We did a Jingle for the book describing the contents of the book. A large part of my music has been about positive thinking and spreading a conscious message, thus this project was right in my zone. The basic idea was to point out that we do not have to be snobs, it doesnt really hurt to be nice to eachother and help eachother to achieve a goal. Q: This song is a little different from the usual hip hop song, there has always been quite the versatility in your work, why do you think it’s important to be versatile in your work ? A: Versatility was a minor objective for me. The larger idea was to create something different. Most of my solo works aim towards that, be it ” When I’m Gone “, or ” It Doesn’t hurt to be nice “. There is no point following conventional methods anymore, We must be versatile to fuel being different and being different is the only way we get ears and listeners and possibly make a change in lifestyle. Q: We see that you have been involved with a lot of live acts. How is the scene for Hip Hop right now in Bangalore ? A: I’ve been involved in about 5 different combinations of LIVE acts. I believe thats the right way to go in this industry. I am not really the type of artists who sits on a computer all day and makes music for the digital world. I prefer being out there and seeing for myself where i stand. In terms of Hip Hop, Bangalore is growing, we started a property at the Humming Tree called THE HUM HIP HOP Project. We busk in street corners, we play to conservative audiences in Kannada Plays, we play at festivals; but eventually i think its upto us to help it grow. I have seen conversions occur from non-Hip Hop audiences. Its important to realize that maybe these people were never exposed to right kind of Hip Hop. Q: What are your future plans ? A: You will see a lot of moves from me this year and the next. I don’t need to talk, lets get to doing this stuff. What we need is support, co-operation and unity among our people. We on a mission. I have no doubts we will succeed. The song, “It Doesn’t Hurt To Be Nice” is a great track and is different from what is usually expected from a rapper. Like always Smokey know’s how to stand out.